This year I decided to make something different. We all know the dips, the wings and all the other Football finger food that everyone dishes up for the Big Game. 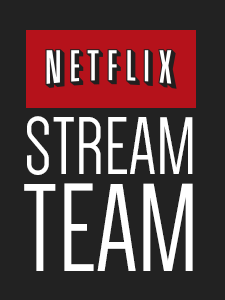 I wanted to make something fun, something different and something that everyone will remember. 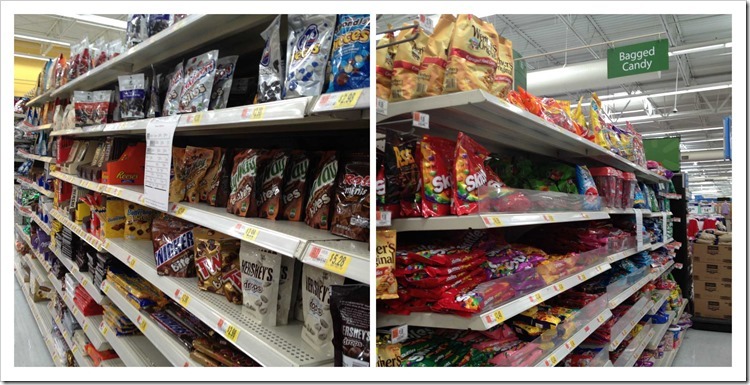 I set off to Walmart for my weekly grocery shopping and that’s when I got the idea to use SNICKERS® as one of my main ingredient. 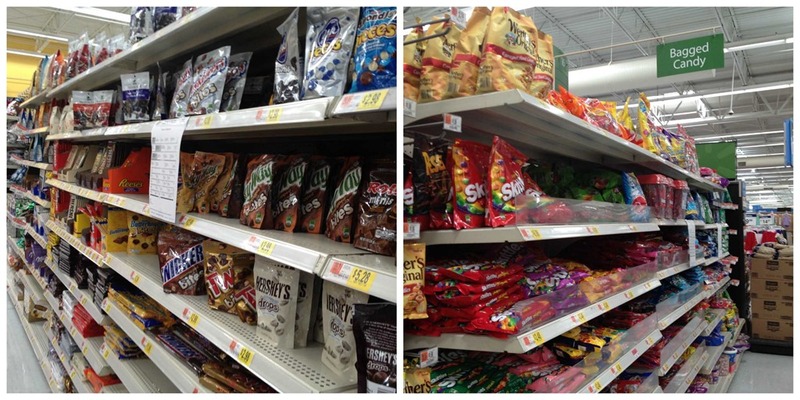 A game day without SNICKERS isn’t a game day at our house. Are you guys or maybe you like that, too? My oldest son loves Skittles®, so I got him a bag to enjoy, too. 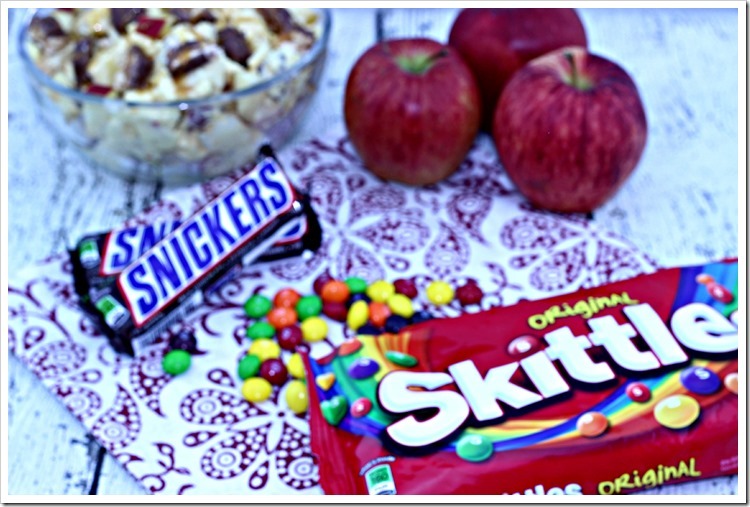 Love to add Skittles in a candy bar for everyone to take some #BigGameTreats, too. 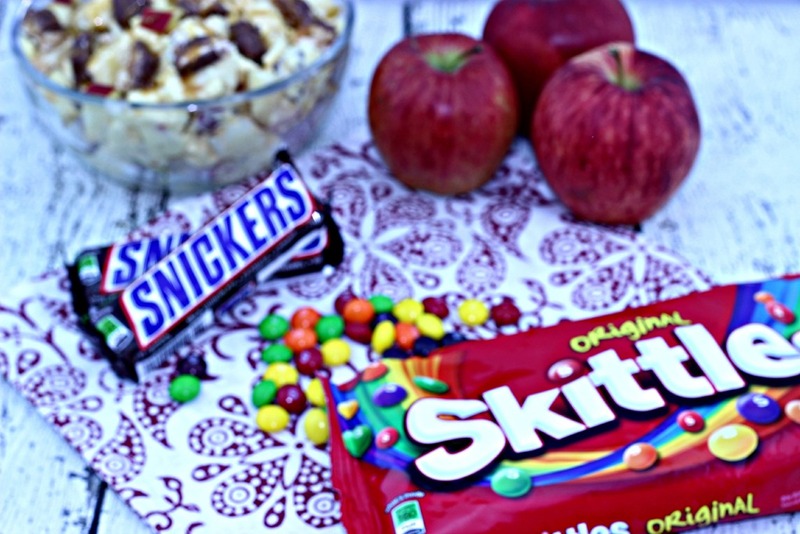 Do you include Skittles for your #BigGameTreats? 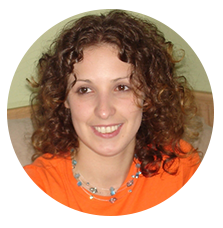 I love shopping at Walmart, I can always find cool and new products and get everything I need for all my recipe creations. 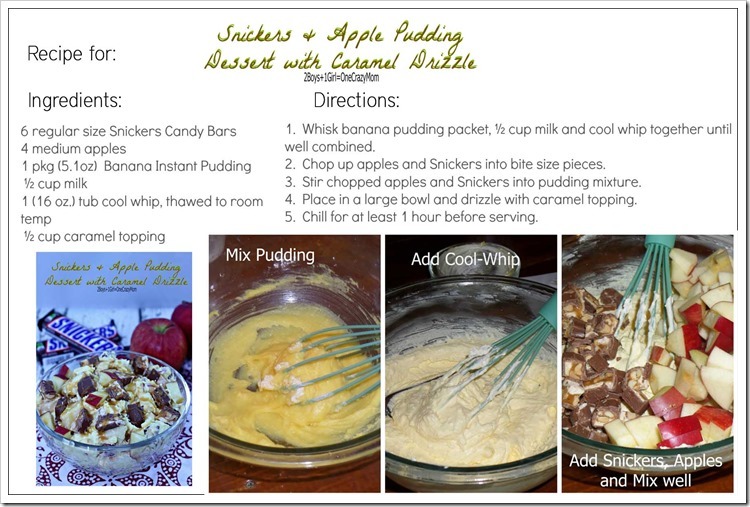 So the next time you are there, be sure to bring along my recipe card and pick up all the items you need to make your very own SNICKERS Apple Banana Pudding with Caramel Drizzle. Wasn’t this easy? 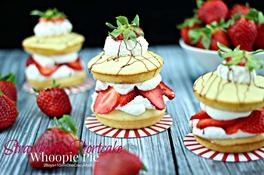 It’s so delicious and you can whip it up hours or even the day before your party. My guys really enjoyed the dessert and named it a perfect for Football snack idea. 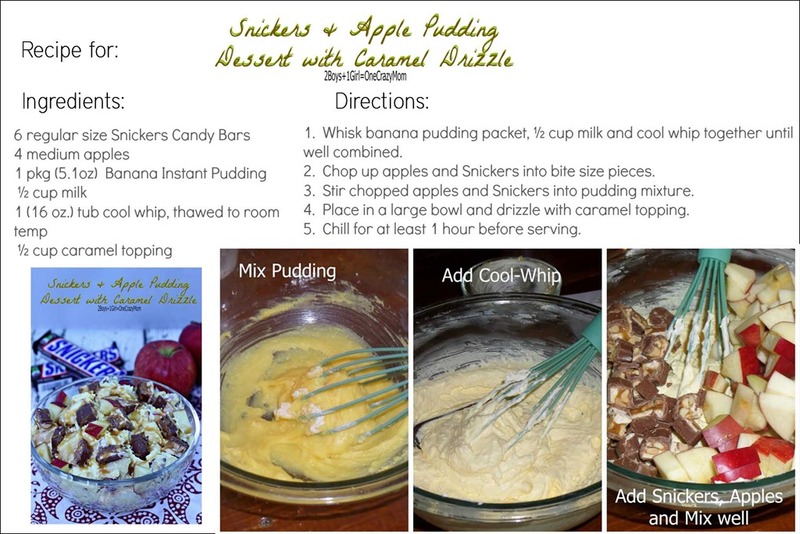 I loved the combination of the banana pudding with the SNICKERS chocolate and the crunchy apples. It wasn’t too sweet and the caramel drizzle just gave it a fun flavorful note. 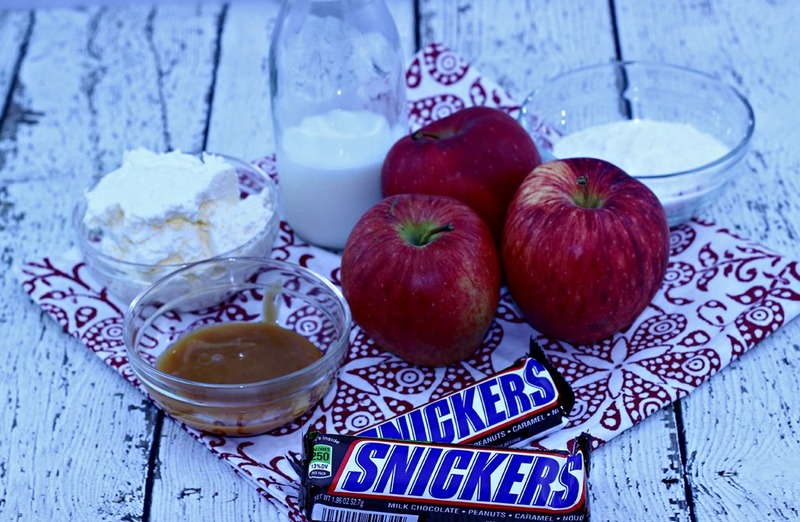 If you are heading to a Football party, the SNICKERS Banana Pudding can be easily transported, too. Making it the perfect #BigGameTreats to bring along. 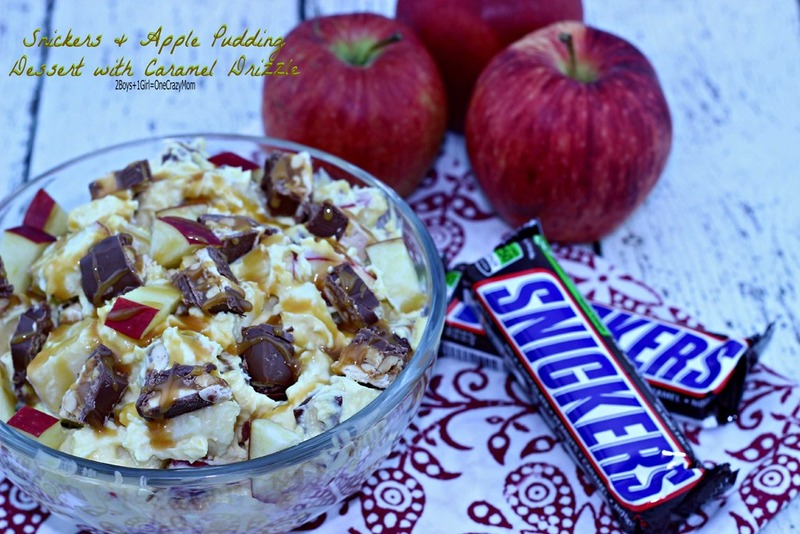 I’ve shared my my game day dessert recipe with you! I’d love to hear what you plan on making for the Big Game! Sounds delicious! 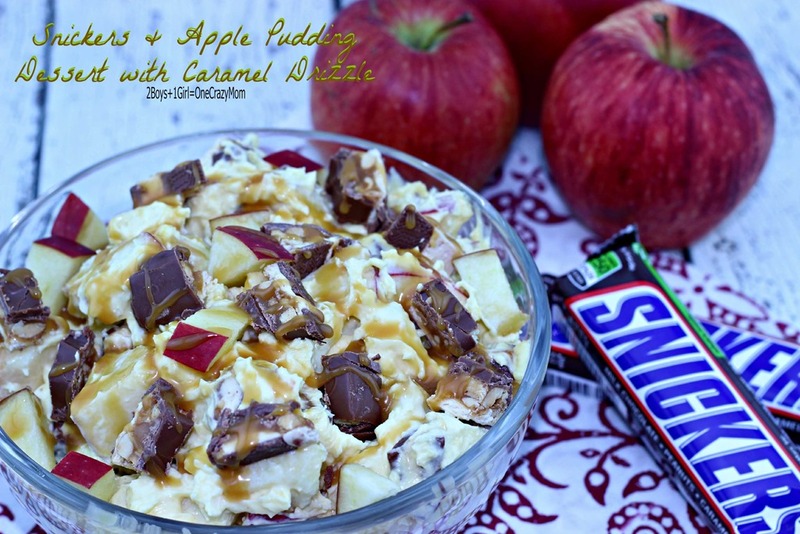 I love the idea of mixing apples and caramel with my favorite candy bar. That looks heavenly! Definitely a great snack while watching football! That looks delicous! That is a dip I could handle for Superbowl Sunday! I know John wants wings for game day we haven’t gotten far in planning the food yet. 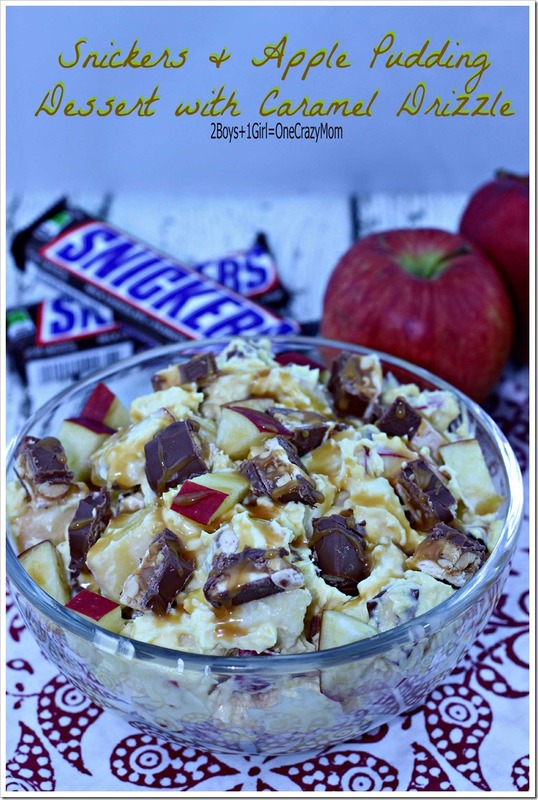 I am in love with this recipe! 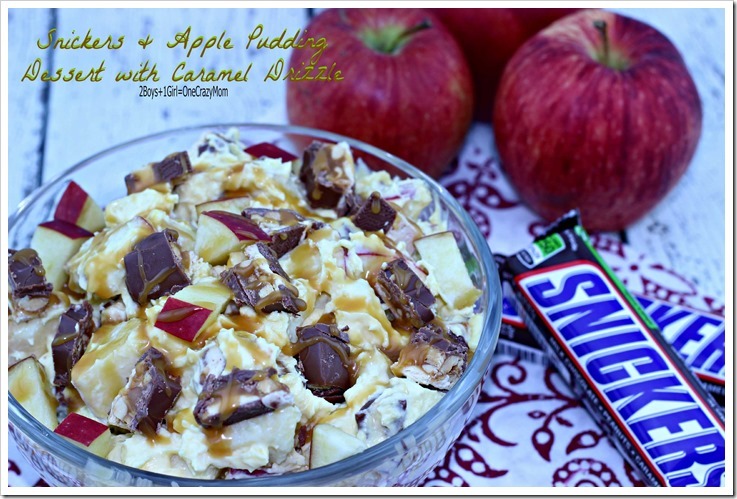 I bet it tastes like a deconstructed caramel apple! Yummy! I bet the Snickers gives that a really interesting texture. I think my Mom would love this! That’s a fantastic treat! I love how easy it is to make! Oh wow. This looks so delicious! I will have to make this as soon as possible. My daughter would love it. 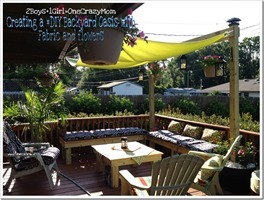 Mistee Dawn recently posted..Get creative with My First Origami Kit from Tuttle Publishing. This sure looks good. 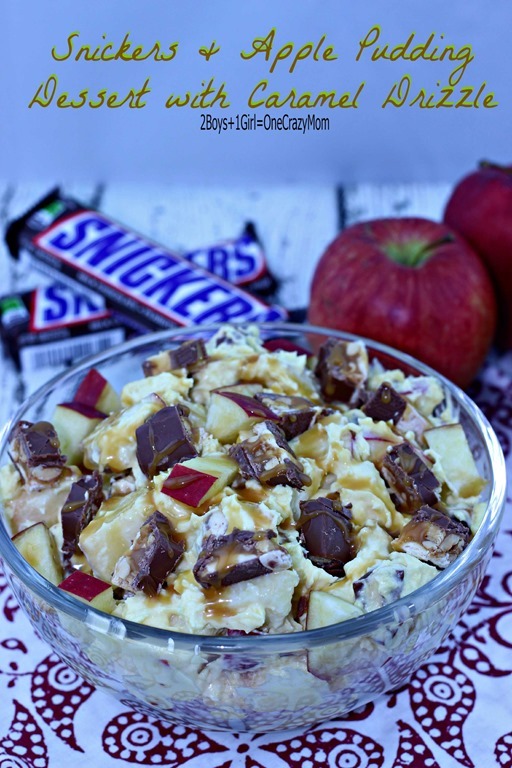 I have made something similar call Snicker Apple Salad. 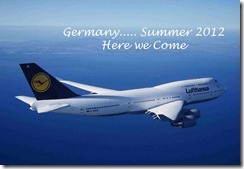 Every one I have made it for loves it. I will have to give this a try. What a delicious combination of flavors! Yum! 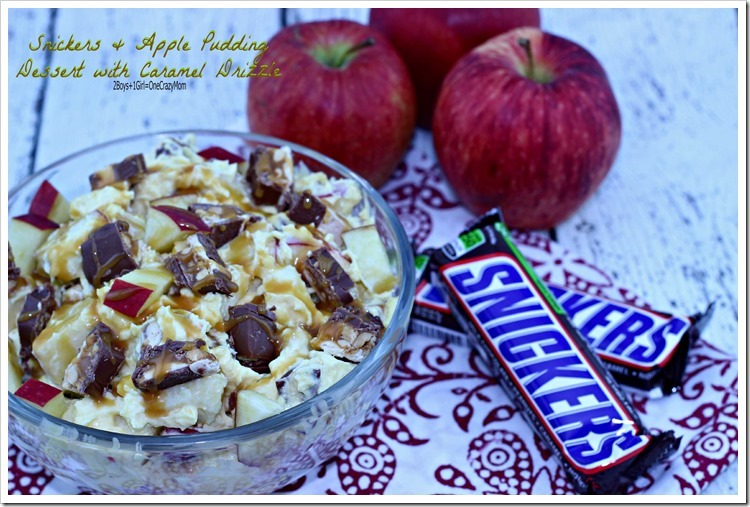 I love this dessert and I know that my son and daughter would love for me to make this for a treat soon! 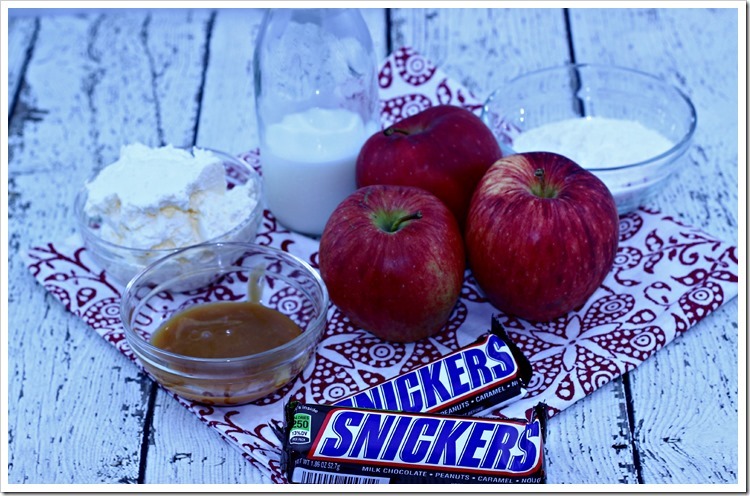 I like the Snickers with the apple and banana pudding! yum!